Once you’ve decided that you’re going to install natural stone or tile flooring, you are going to have to learn how to properly clean your floors in order to get the longest possible life out of them. This involves everything from a proper installation and regular cleanings to annual maintenance routines. Since you are investing in tile flooring for your home, we want to help you know how to properly care for it. Check out our recommendations for the proper care of your natural stone or tile flooring. When you choose a natural stone floor like travertine tile or marble, you have to be exceptionally careful when you clean it due to its porous nature. Dry mopping a natural stone floor is the best way to keep it clean. This will remove any damaging debris from the floor without exposing it to potentially staining chemicals. Every once in awhile, it’s good to wet mop your natural stone floor. Do not use harsh chemicals and make sure to use a very soft fiber mop. Using white vinegar diluted with water is an ideal option for cleaning but make sure to test it in a small section of your floor first. It’s important to maintain the sealants on your natural stone floors. To do this, make sure your stone floor is installed and coated properly to begin with and then plan on having the flooring resealed annually to protect the porous nature of the floor and prevent stains. Choose your flooring wisely to best match your home usage needs. Hire a professional to do the initial install. It will prevent any large problems from occurring later. Clean up any spills immediately so they don’t have a chance to stain the natural stone flooring. Much like caring for natural stone floors, the dry mop or vacuum with the brush attachment removed will be your best starting point when cleaning. Keeping debris off the tile will prevent them from becoming dingy and keep them from scratching. Unlike natural stone floors, tile flooring loves water. Using a mild soap, or water and white vinegar, to mop the floors regularly will keep them shining. 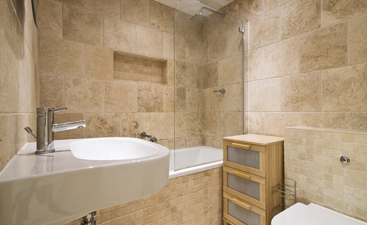 Make sure to do a regular inspection of the grout as you do not want water seeping below the tile. 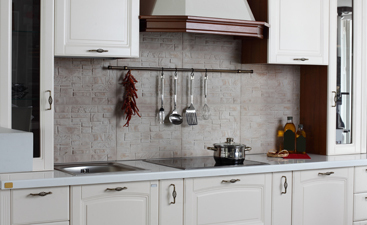 If you find any problems with the grout, make sure to have it repaired promptly. Additionally, avoid dropping heavy objects on the floors and breaking tiles which would need to be replaced promptly. Grout joints should be cleaned separately and have a sealer placed on them after installation as well. Avoid using acid or bleach based products to clean your floor. Use sealants only on the grout joints and not on the tile. Unglazed tile is susceptible to staining with any cleaning product that contains color. 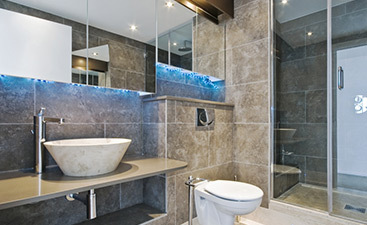 Transworld Tile provides a large selection of high-quality tile for any home improvement project. Contact us today with any questions about our selection of products and how to care for specific tile types in your home.